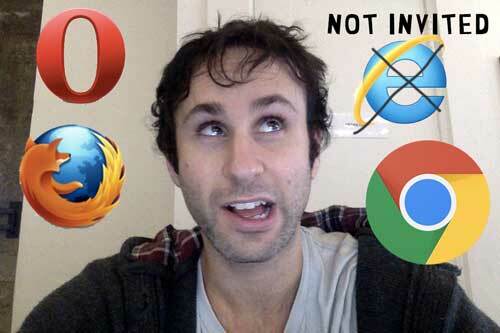 I partied with my web browsers! I just moved to SF just over a two weeks ago, and don’t have any friends! Oh so lonely — who will party with me? Well, since I’ve been hanging out a lot with my web browsers recently, why not invite them to party! I wrote a little script with recursion, and bam instant party! Drag this Link to your bookmark bar for future party use! It will turn ANY SITE into a party!